In accordance with the changed rules of calculation of social payments is made proceeding from average earnings for the 24 months. Limited paid days of sick leave issued for caring for minor children. Also changed the accrual for sick leave depending on the assigned regimen. For inpatient care shall be paid all the time based on the employee's seniority, for outpatient care up to 10 days – based on experience, with 11 day – 50% of average earnings regardless of work experience. 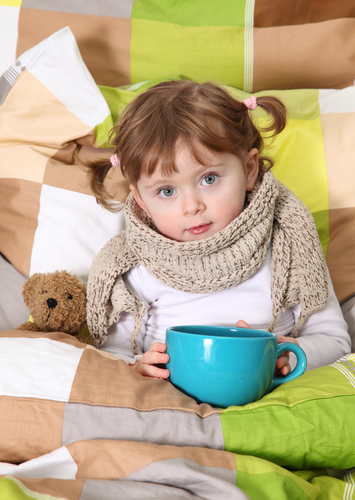 Sick leave is paid for care for children under the age of 15 years. Payments for sick leave should be paid depending on the total seniority of the employee. With experience more than 8 years is charged 100% of the average daily earnings for 24 months, from 5 till 8 years – 80%, up to 5 years – 60%. You also need to consider what kind of care the child was carried out. In-patient care should charge you for all days, depending on the total seniority of the employee for outpatient care, the calculation is made for the first 10 days depending on the overall experience, with 11 day – 50% of the average daily earnings for 24 months. But that's not all that is taken into account. If the care is for a child from 7 to 15 years, the charge should be not more than 15 days per sick leave. Time care limited to 45 days per year. That is, if a child needs a more long-term care, these days the payment is not subject, therefore, sick leave may make another close relative of the child. If a child is disabled, then payment can be made 120 days for care throughout the year. Time care is not limited for children with HIV and children who have suffered from vaccination. All sick leave in excess of these periods are not paid and are not documents that are exempt from work. The employer has the right to put absenteeism and dismiss under the relevant article. For the calculation of average earnings for payment of sick leave for caring for a minor child need to add up all the earned amount in 24 months, which were assessed insurance premiums, and divided by 730. The resulting figure will be the average daily earnings for 24 months on the basis from which the further calculation.